If you’ve ever tried to use a Raspberry Pi to browse the web, you must have noticed how frustrating it can be due to the overall sluggishness of the system. 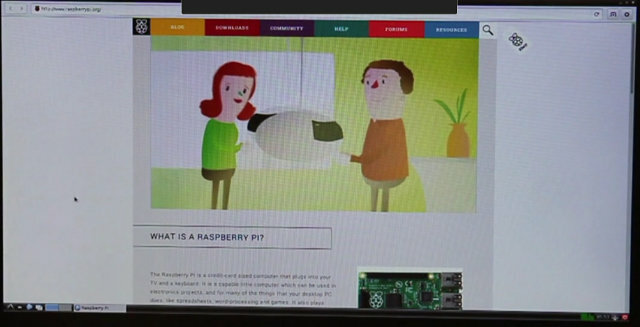 But thanks to work by Collaborra, which optimized Epiphany Web browser for the Raspberry Pi, bringing features such as 720p HTML5 hardware video decoding (no flash support), faster loading and scrolling, etc.., the web browsing experience has much improved, although as you’ll see from the video below, it’s still not quite 100% perfect. Future version of Raspbian and NOOBS will come with this optimized Epiphany Web browser instead of Midori.